This baby boy of mine is starting to grow up. His cheeky personality comes through more each day, he is learning new skills, learning to communicate better and desperate to be big like his brothers. I still see him as a baby though, there is still so much baby about him, in the way he crawls, when he is cuddled to sleep at night, when he just wants to be held all day. I am in no rush to start dressing him like a little boy, but I am recognising that his days of wearing sleepsuits as day wear are now over. 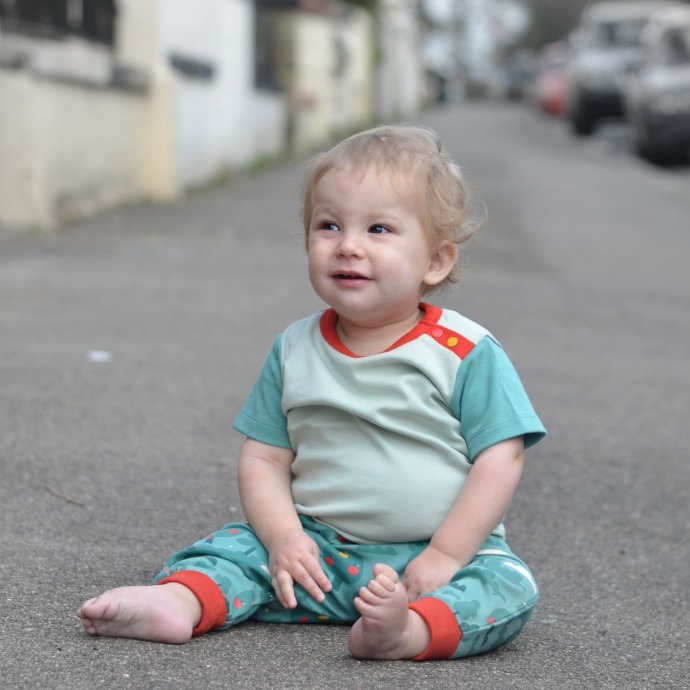 I love clothes for him that have personality and colour but are still comfy for him, soft against his skin, easy to crawl in and designed for babies (and toddlers). 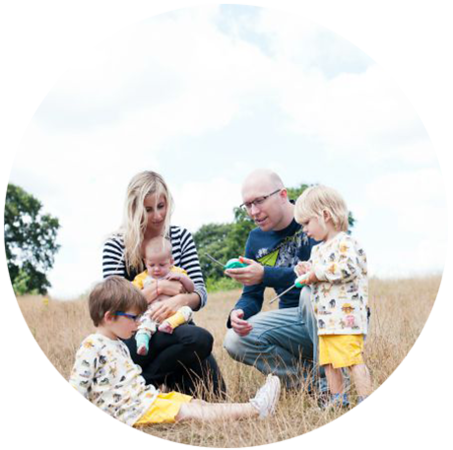 Little Green Radicals are a brand that we have bought before and their wonderful childrenswear embodies all of this. They sent Finn this beautiful outfit and I love how well it goes together, how childish it looks and how well it washes. 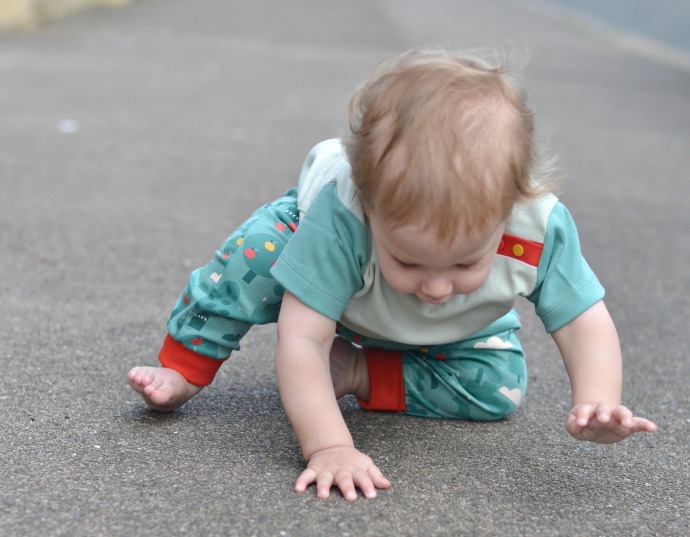 Patterned trousers are ideal for a crawling baby as they don't show mess so easily and these have been well crawled in. 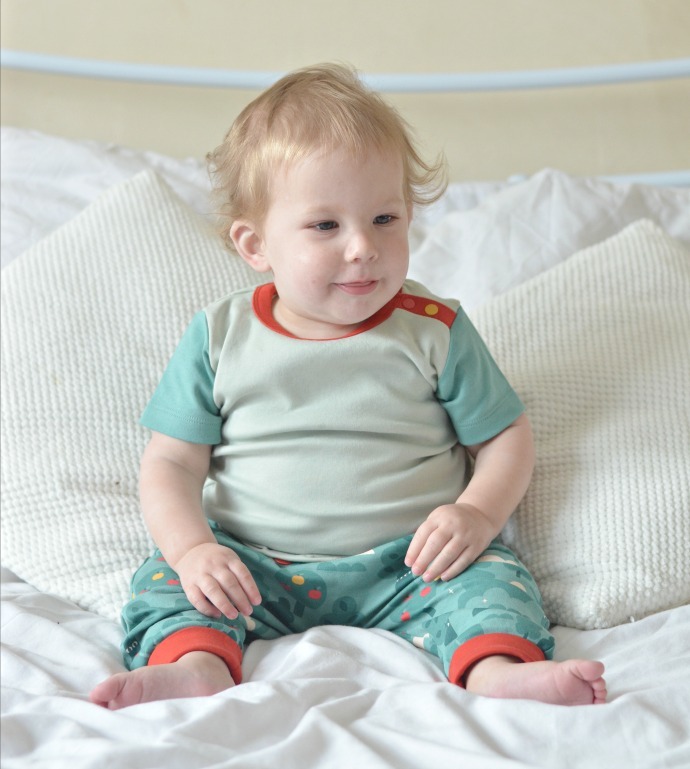 The fit means they are ideal for cloth nappies and chunkier thighs and the cuffs mean that they stay in the right place still. The t-shirt is simple but the little details make it different, like the coloured buttons on the shoulder (which co-ordinate perfectly with the trousers). 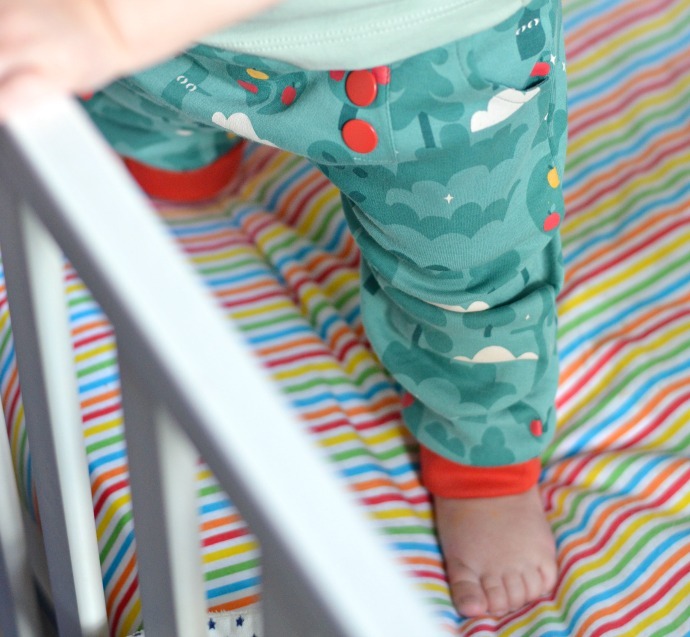 My crawling, cruising, cuddling baby thoroughly approves of his new comfy clothes and I love that everything is organic, well made, durable and perfect for passing down to his new sibling when he outgrows them. 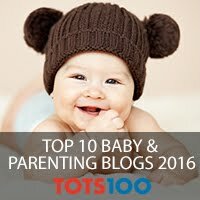 These items are both in age 1-2 and Finn is 14 months old. They both have plenty of growing space but also fit great now - we love it when we find something that really lasts. I love Little Green Radicals - we have a few pieces and they're so fabulous! Finn looks gorgeous in this outfit - those trousers are especially beautiful!